Whole Wheat Berries, up close and personal. There are many options when it comes to grinding your own flour. You can use an electric food mill, a hand crank food mill, or even a dry blender attachment on a vita mix blender. They can be cheap or expensive, depending on what you want. We have the WonderMill that we bought on Amazon for about $220. It works great. You can use it to grind your wheat berries as well as beans, corn, and many other grains. It is fast and the clean up is easy. All you have to do is connect the bucket to the food mill, turn it on, add the wheat berries, and it grinds your flour right into the bucket. 2/3rds of a cup of wheat berries ends up as about 1 cup of fresh ground flour. Why? Because it’s good for you! Wheat berries are very good for you. They are a great source of dietary fiber, and are packed with vitamins and minerals. With all the different viewpoints out there, it can be hard to know what is accurate and what is not. After-all, store bought flour has been “enriched” to recover the lost nutrients that disappear within days of grinding your flour. That seems to be where people focus when arguing for the main-stream flour market. However, when they make enriched flour, they remove the bran and germ, grind the remains, then put it through a chemical bleaching process. This doesn’t sound good to me. Likewise, the removal of bran and germ, while drastically increasing the shelf-life of the resulting flour also removes a portion of the protein, fiber, and nutrition of the berry. With shelf-life not being an issue when you grind your flour at home, I know I would much rather use flour that I grind myself. Storage wasn’t always important to us. After joining The Church of Jesus Christ of Latter-day Saints, however, we learned the importance of long-term storage. Ground flour goes rancid due to the oils formed after grinding. That is why bran and germ are removed from commercial wheat before grinding. Even then, the shelf-life of ground flour is limited at best. Storing ground flour for any real length of time is just not an option. Wheat berries are great for long-term storage. If sealed properly, they can last for 30 years. Opened, they last for 1 to 2 years. To store your wheat berries you can buy them in bulk, place in an airtight container with oxygen absorbers, and close the lid. You should store them in a cool, dry place, but there’s nothing else to it. After grinding your wheat berries, you should try to use what you grind. It keeps in the refrigerator for about 1 1/2 weeks, and in the freezer for about 1 month. It loses most of its nutrients within 24 hours after grinding it, and at room temperature, goes rancid quickly. Buying wheat berries is very affordable. 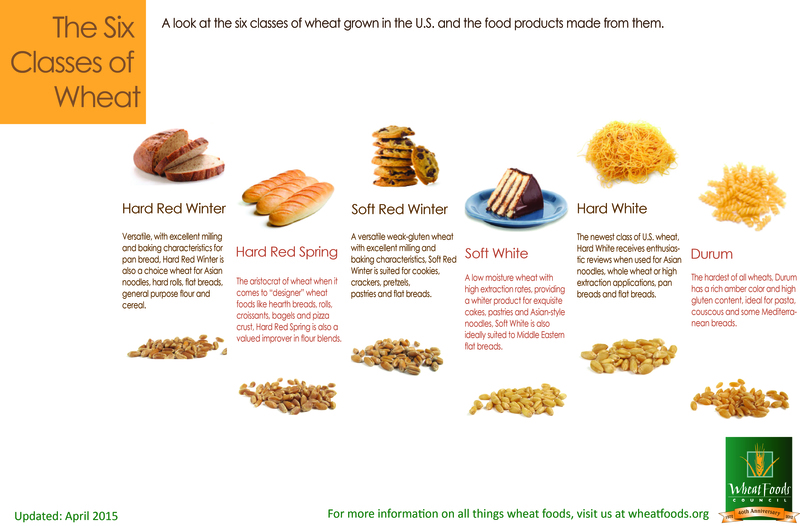 Depending on where you shop, you can buy hard white wheat berries for $0.61 per pound. This is cheaper than whole wheat flour, and definitely cheaper than organic whole wheat flour! I did some searching around and found whole wheat flour for $0.79 per pound, and organic whole wheat flour for $1.60 per pound. There are many places you can buy wheat berries. We have bought them from our church, Walmart, and Amazon.com. The price tends to fluctuate from time to time. It pays to shop around. I like the convenience of having them delivered to my door that Amazon offers, but when the price is better elsewhere, that’s where I go. Hard White Wheat? Are they ever soft? I use hard white wheat the most. I have used it for bread, rolls, hamburger buns, cookies, cakes, and many other recipes. Just recently I learned about the other types of soft wheat. I’m excited to be experimenting with these soon. I’ll be sure to share the results. Sometimes finding recipes can be difficult. Finding them for home-ground flour can be even harder. I have found a lot of “whole-wheat” recipes that call for half fresh ground or whole wheat flour and half all purpose flour… Whats the point in having a whole wheat recipe, if you still have to use white flour? I just don’t understand this. Sometimes you have to modify recipes a little bit to use home-ground flour. Or do a little extra searching. When you taste the difference, though, it is worth it. I love finding good recipes and feeding my family. I want them to enjoy their food. Sometimes I like to do taste tests. We have a few picky people in our family that don’t think they like fresh ground flour, I’m sure you will, too. So, I have made two batches of something, one with all purpose flour and one with fresh ground flour. So far, even our pickiest critics have preferred the one with the fresh ground flour. I have tried this with fresh baked bread, fresh baked hamburger buns, and German Oven Pancakes. One of my goals on ZionFamilyHomestead.com is to post recipes that I like to use fresh ground wheat berries with to make it easier for you to find ACTUAL whole wheat recipes. So if you’re eager for true whole-wheat to feed your family nutritiously, cheaply, and with amazing flavor, stay tuned for a little taste of Perfection in the Kitchen.